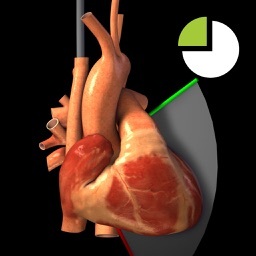 In the practice of anesthesia, critical care and emergency medicine there is often a need for a quick, qualitative assessment of cardiac function. 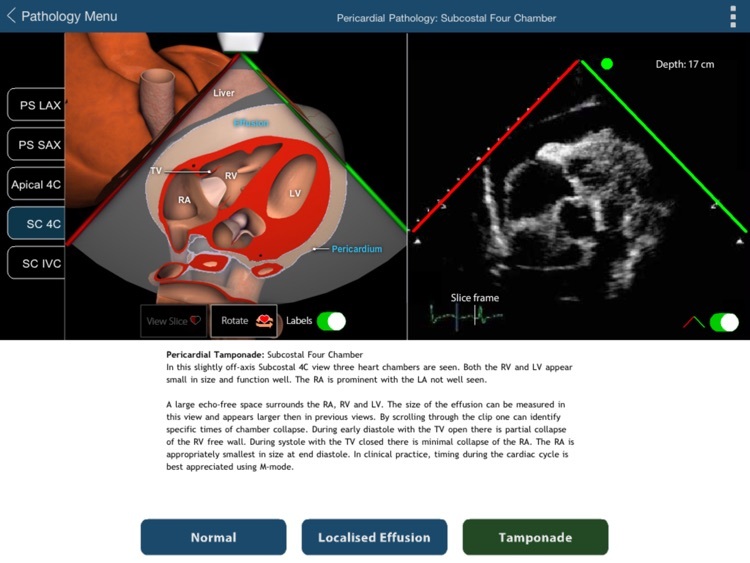 Focused Cardiac Ultrasound (FOCUS) is the process of carrying out this rapid qualitative assessment by practitioners in these fields. 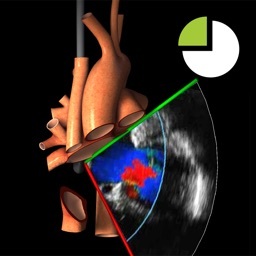 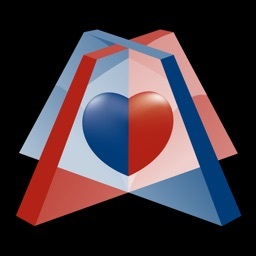 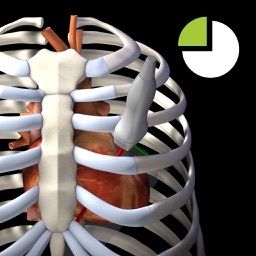 Training for carrying out a FOCUS assessment requires practitioners to understand the 3D structures of the heart that are seen in the 2D transthoracic echocardiography (TTE) image. 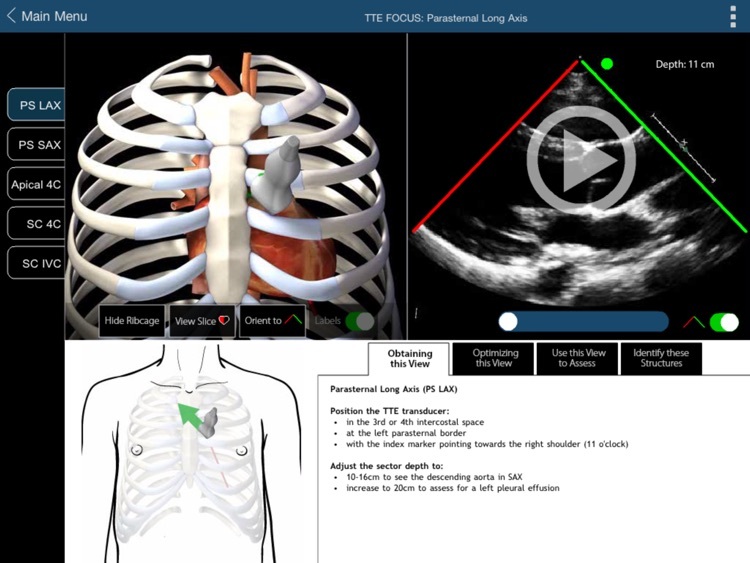 Users can view the TTE recordings for each of the 5 FOCUS views and see a corresponding 3D model of the probe, ultrasound plane, heart and rib cage for each view. 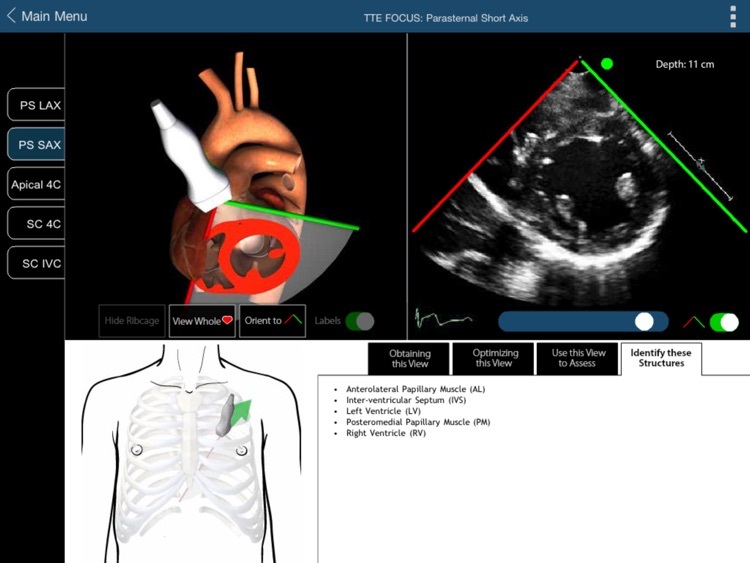 Each FOCUS view can be selected from a menu at the left of the screen, or by using arrow buttons to go to the next or previous view in the list. 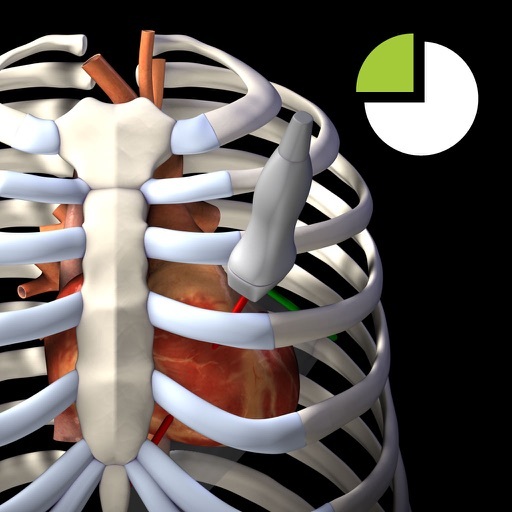 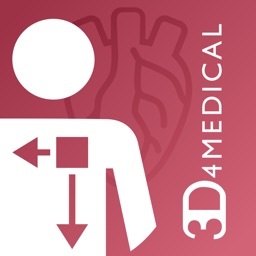 For each view, the 3D model of the probe, ultrasound plane, heart and rib cage can be rotated in the horizontal or vertical plane to view it from any angle. 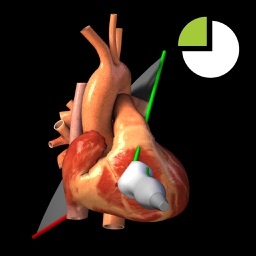 The rib cage can be removed, the part of the heart above the echo plane can be removed, and the heart model can be oriented so the structures correspond to the TTE image. 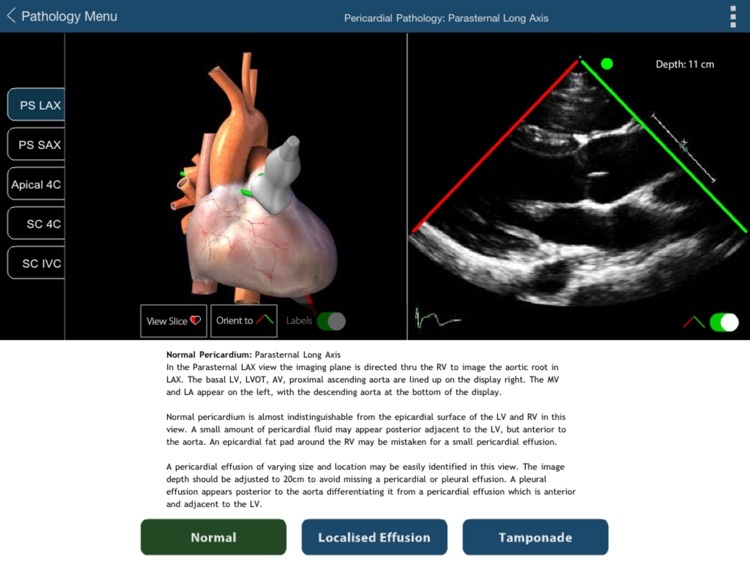 This module reviews the use of FOCUS to assess pericardial abnormalities of localised effusion and tamponade and their effect on cardiac function.